The summer is in full-swing in our household. I am sure each of you have your own way to kick off summer. Our family it starts with the first family hike of the season. 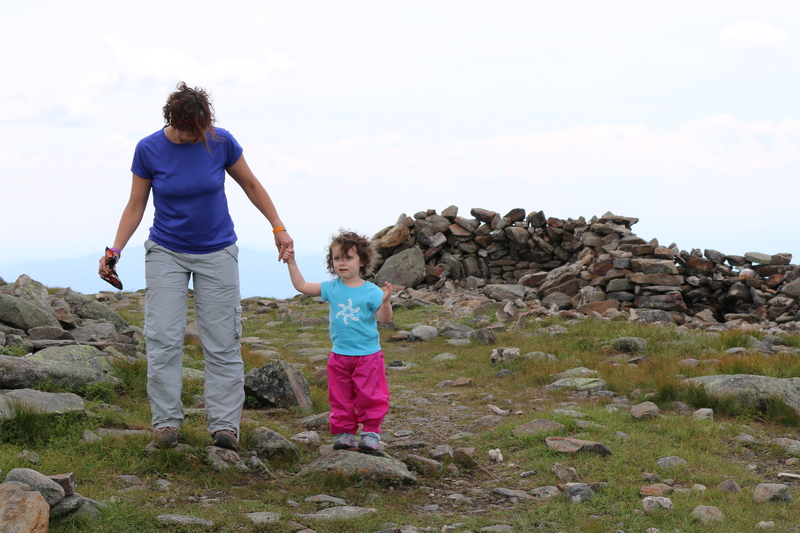 This year we started with Mount Moosilauke. 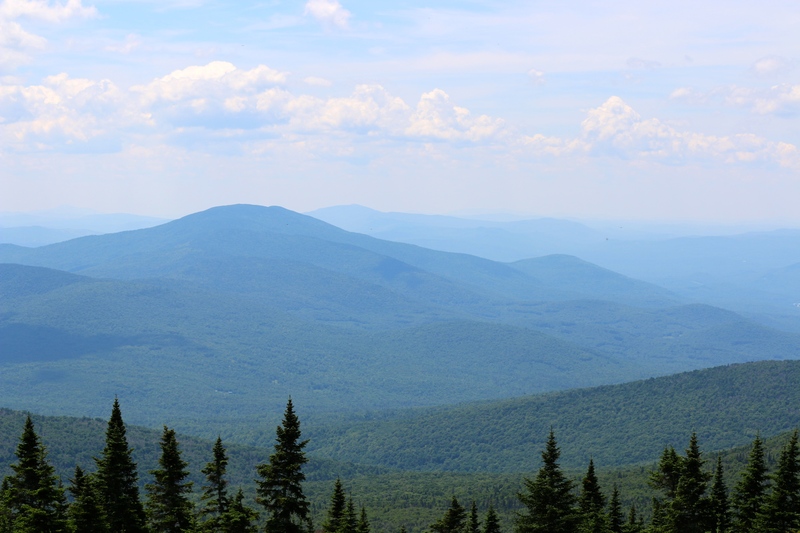 Mount Moosilauke is found on the western most part of the White Mountains in Brenton, New Hampshire. There are multiple paths up to her bald summit that gives you a wonderful 360 view of the land below and other mountain ranges. That is as long as it is a clear day, if not enjoy the workout and plan to come back on a clear day. Here’s a quick link from Wikipedia about Moosilauke . We travelled up the Gorge Brook Trail to the summit. It is the steeper trail and a more direct route from the Ravine Lodge. If you want a nice walk up and down take the Snapper Trail and Carriage Road. The summit is worth the climb, but those two paths are not too hard on the legs. 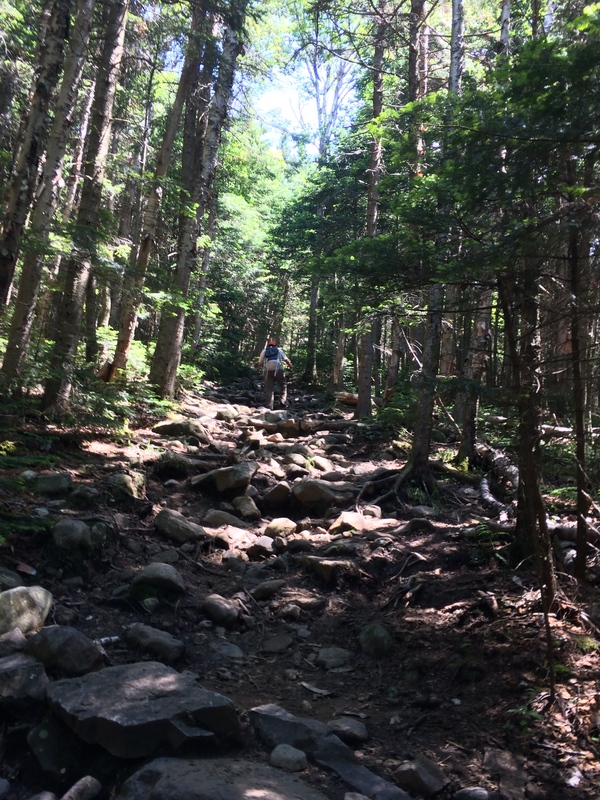 The Beaver Brook Trail per topology maps and word-of-mouth is steeper and more problematic because of cascades. We have not taken that path, but will be later this summer. The loop (see below) is about 8 miles or for those that need to be exact is it 7.9 miles. The Gorge Brook Trail and Snapper Trail to Carriage Road start in the same location and follow the same trail for a bit then the Gorge Brook Trail breaks to the right while the Snapper trail continues straight forward. 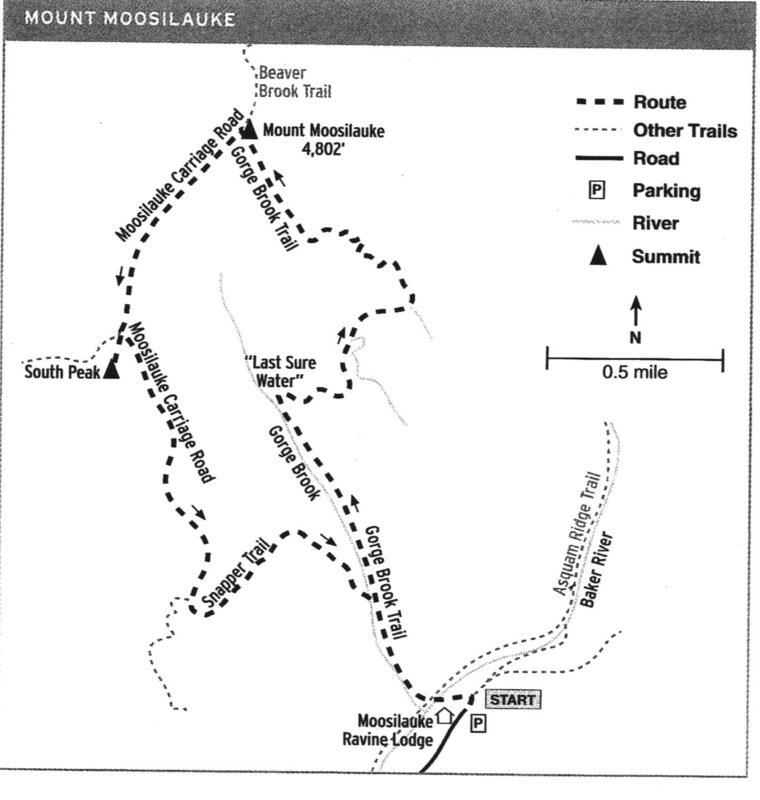 You will have some brook crossings with log bridges over most of them are before you turn right to travel up the Gorge Brook Trail. The only concern is that some of the hand rails are loose, so don’t lean on them too hard. 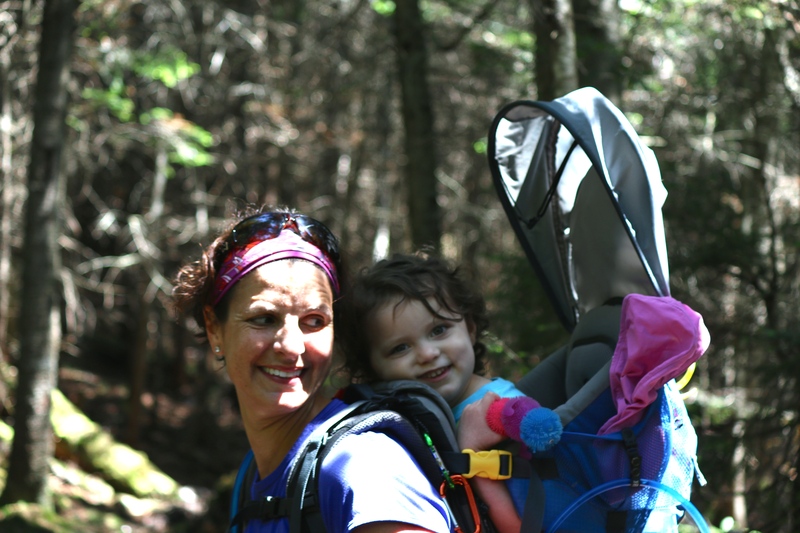 Shortly, after making the turn onto Gorge Brook Trail, a gentleman coming down the mountain was so excited to see that we were carrying our daughter up the mountain. He had to take a picture of us to show his wife. 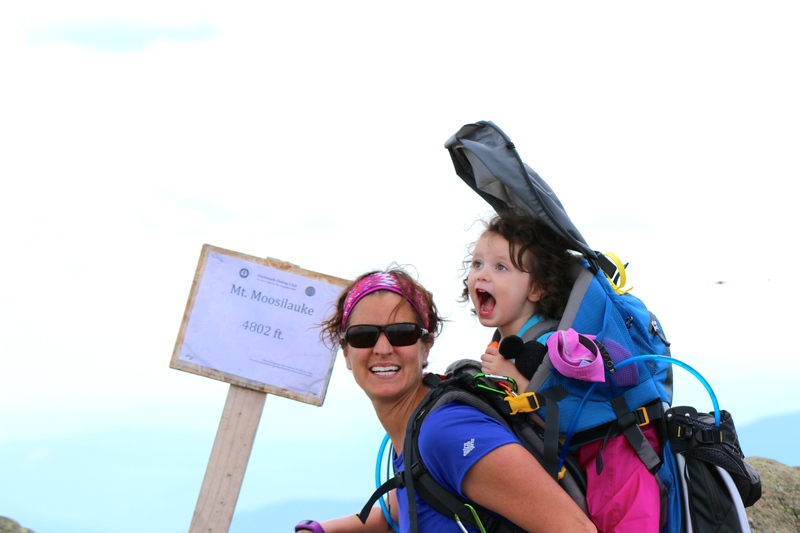 He did not think she would believe him when he told her that he passed a family carrying a toddler up the mountain. He snapped a picture, wished a safe and great hike and we were on our way. It’s amazes me how unique the hiking/climbing/mountaineering family is always friendly, helpful and well wishing. We enjoyed the Gorge Brook trail until we were slightly below the “Last Sure Water” (see trail map above), which is at elevation 3,300 feet the path is ‘out’ for certain hikers. I think it is about half a football field south of the sign. It looks like the path was lost to a land slide or tree going down or some combo of both. My husband made it across the path using a rock jutting out from the side. I think anyone that is not carrying a toddler or heavy weight shouldn’t have any issue with the cross. I made it passed the land slide area by climbing up and around. My safety means the safety for our daughter, so that was an easy decision. My husband did double back to check the area near the land slide to make sure the trees were in place in case I lost my footing. Unless, there is an extremely hard rain before hand traveling up the path 10 to 20 paces and crossing over a downed tree will do. There was a couple behind us that caught up to us at the landslide point. They looked like they were in their mid to later twenty. My husband let them know it was passable, but to use caution. The female asked, why I was up off the path. My husband just simply said, ‘Well she carrying our daughter up the mountain.’ The woman gave the look of wonder and passed the landslide like my husband and the male went up and around like me. 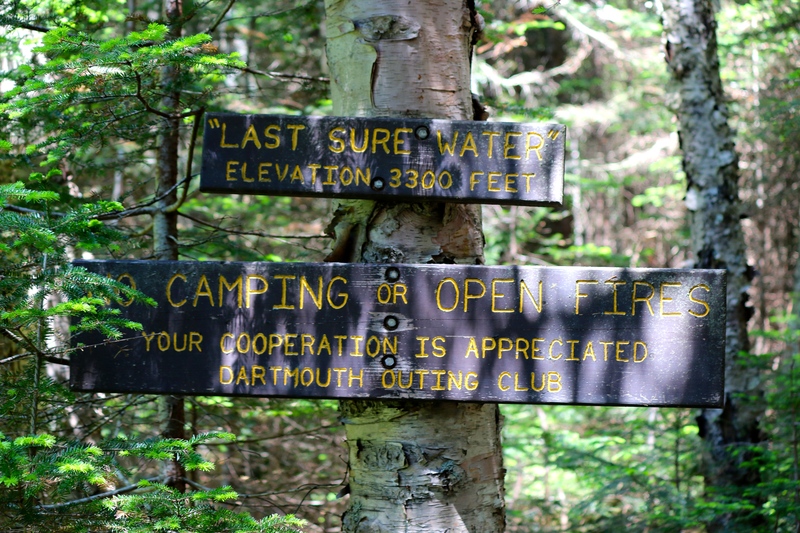 Until, the Dartmouth Outing Club fixes the path do what you think is best and safety for you. Shortly, after the “Last Sure Water” marker you will face the harder part of the trail that most say is strenuous or extremely strenuous. I would suggest a quick rest before carrying on. There is plenty of room at this spot for whatever you need. What lies ahead is a bit more work than what you just completed. There are not many good spots like this one until you make it to a clearing area near the summit. The incline increases greatly with a rocky path for about a mile or so. During this time, my suggestion is to keep moving, stay focused and take your breaks when you need them. You are only 1,500 and change to the summit and it is so worth it. You will do a small handful of switchbacks to help with the incline but most of it is rock. 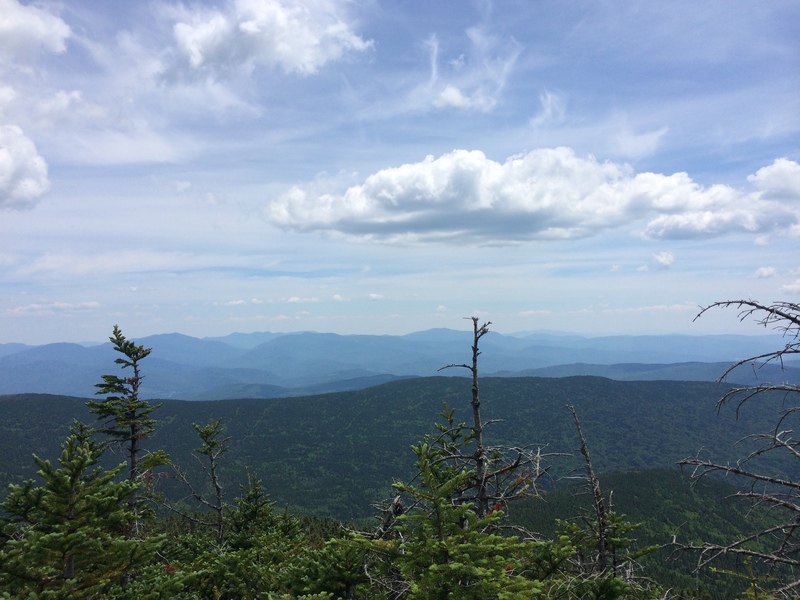 If you have not summited up the Gorge Brook Trail don’t be fooled by the bald area that is not the summit. This is a great area to break if you need to, but keep in mind that the summit is just through the alpine shrubs and up a little bit. Follow the cairns to the alpine shrub and just keep walking until the next clearing … look up a bit and you will see the summit. Yes, you are that close. 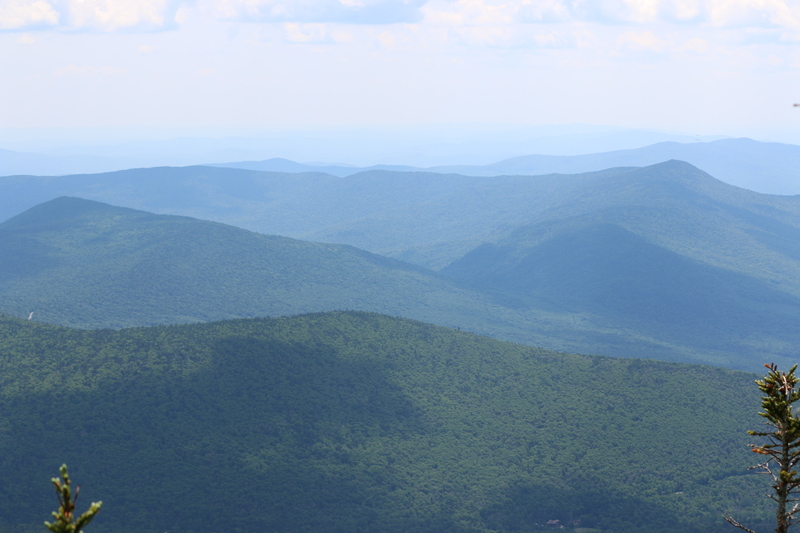 Here are views from close to the summit. It maybe about a quarter-mile from breaking the alpine shrub to the summit. There are numerous places to rest, have lunch and recoup before the climb down. Many people do camp at the top of this mountain. Enjoy your accomplishment, the views and take it all in. Most people travel down the Gorge Brook Tail. We passed 4 groups and 3 singles going down the Gorge from summit after taking the Snapper/Carriage trail up. One group did the Gorge Brook trail up and down. We like the work hard upfront, rest and then take an easy path down. Keep in mind, I am traveling down and up with now 45-55 lbs on my back and it moves around. Controlling down on a steep decline on tired legs takes a lot both mentally and physically. I know I can do it, but I am not one to do so when there is a safer way. 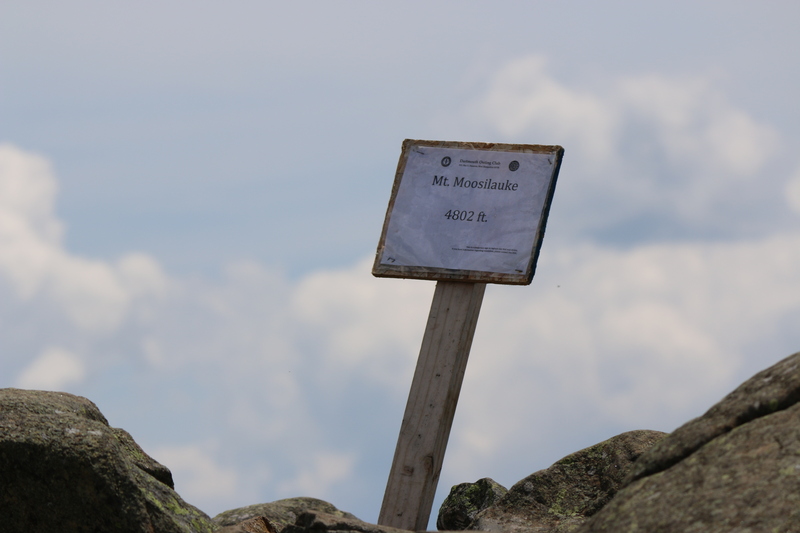 Here are some images from the summit, which was pretty busy with hikers enjoying their lunches and rest. The night campers had left, we saw a few coming down while we were going up. We were informed that the summit sign was stolen and the college would be replacing it. Until then you will see the simple paper stuck to the wood. 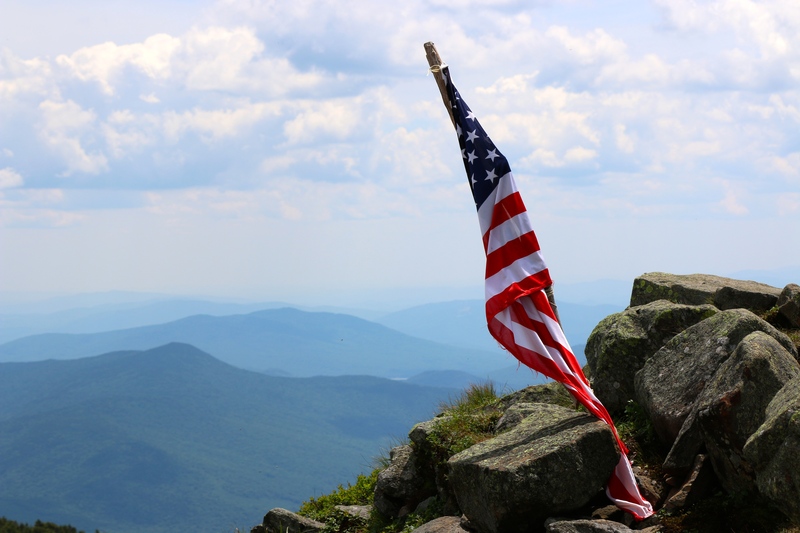 The flag was being carried back down the mountain that day. Here are some views from the summit. We were glad to reach the summit and feel the nice breeze come across the mountain top. I was even happier to finally get a break and allow our daughter to get out and walk around. Our break and lunch was about 30 or so minutes. Many stayed longer, but we wanted to be starting back down before nap time. This time the descent was not a nap time filled quiet descent. Instead it was full of two year old talk and noise making. Oh, well… you can’t win the all. The descent down the carriage path to the south peak is what I would call perfect for tired legs and a first hike of the season. In fact, the descent was one of the easiest I have done since I started hiking several years ago. It is a little longer, but you know the rule you descend faster then you climb. The path down is again a bit rocky, but nothing like the Gorge Path. It’s filled with small rocks and a few step downs from rock to rock, but overall simple. You will need to keep an eye for the sign to turn left onto the Snapper Trail and back to the Ravine Lodge. The Snapper Trail is pretty much a ‘dirt’ path with roots and some rocks. Again, simple. 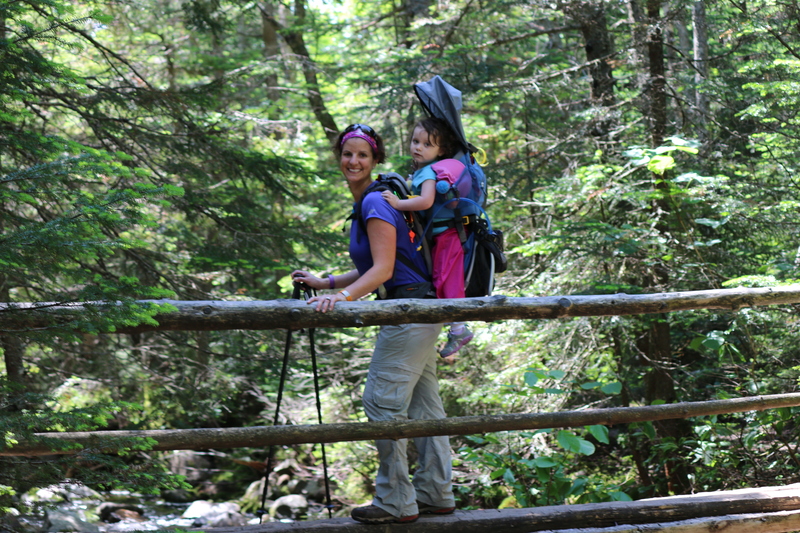 Before you know it, you will be back to the junction of Gorge Brook Trail crossing the final two log bridges and climbing back up to the trailhead or stopping off at the lodge. Our hike time was 6 hours from the car up the mountain back to the car that includes our breaks and time on the summit. 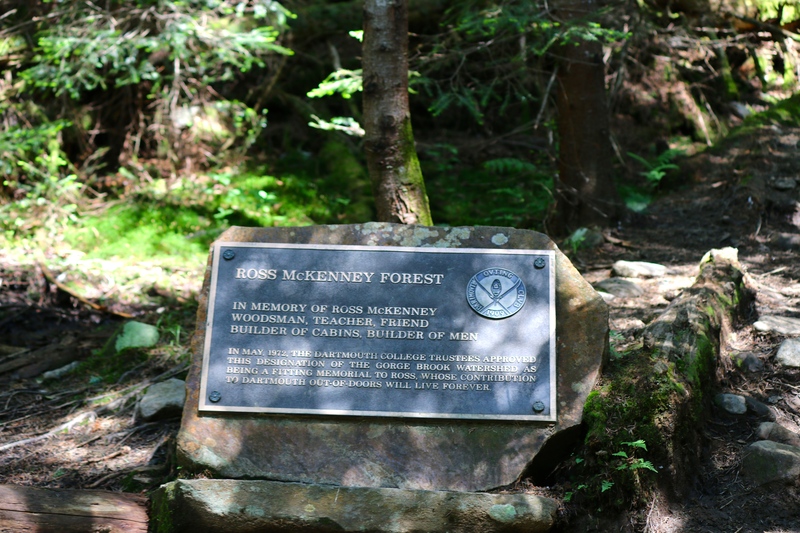 It’s a beautiful hike, well-kept trails and worth the sweat of climbing up. Only thing now is to plan our next hike this weekend. 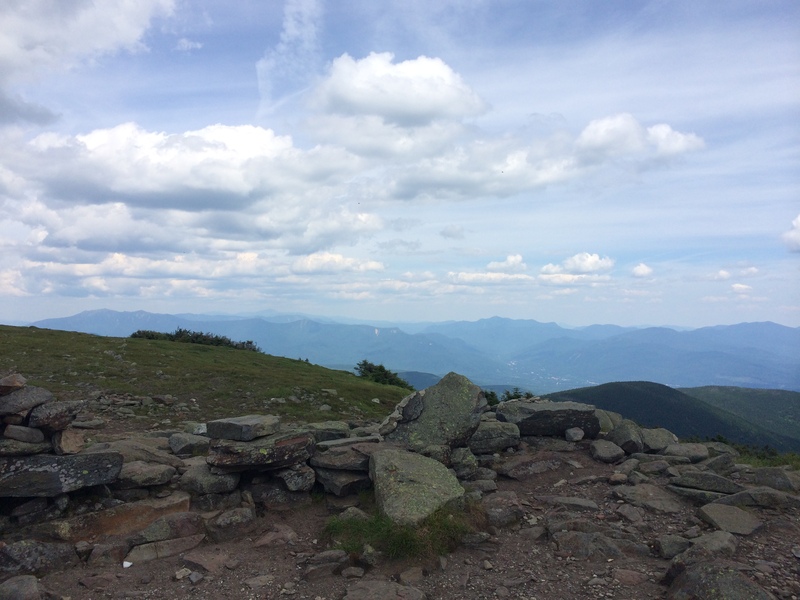 Next Next post: Mount Jackson, Mizpah Hut and down Crawford’s Path, White Mountain Hiking, NH.